Greet Customer Cold calling Demonstrating vehicles to customers, including taking them for drives. Reporting to the vehicle Sales Manager on activities, reviews and analyses. Meeting customers face to face and holding sales discussions with them. Writing up sales contracts. Following-up in-bound telephone inquiries, walk in prospects and emails inquiries. 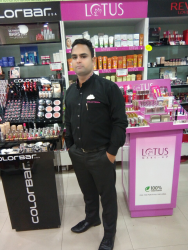 Resposibilities : Cataloging using Excel on Various Marketplaces viz Flipkart, Amazon,etc Order Management including returns and remmitance Social Media Marketing. MIS Reports Inventory Management and Stock Reorder Interaction with Marketplaces and Customers to improve overall online sale experience. Creating report that can provide information on business activity. Reporting may be of daily, weekly or monthly. Connecting and maintaining relationship with vendors related to orders . Should have worked on Salesforce for at-least 2+ years Should have knowledge on Custom Salesforce programming using AJAX Strong base on OOPs concepts should be open to work in Production Support environment Should have excellent understanding on how Organization Setup/User / Profile / Access management works along with Chatter function usage. Should have worked on custom app creation / support using various objects, custom fields, workflows etc. Should have excellent understanding of the visual force page creation, force.com IDE usage with eclipse and Schema Builder. Should have worked on external API / Web Service integration with Salesforce platform. 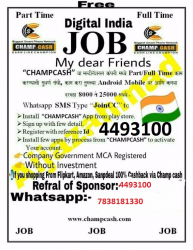 Champcash is an Android Application Through which anyone can be a millionaire by just Installing some apps in mobile. Just refer champcash to your friends and ask them to complete the challenge by installing 8-10 Apps in their android phone. You will get its payment instantly as networking is the best way to do any business because through Networking anyone can earn unlimited champcash also implemented networking in their system too anyone can earn upto 7 Levels in Champcash.